Jocques Clemmons, 31, was shot and killed by Nashville, Tenn., Police Officer Joshua Lippert on Feb. 10, and two months after his death, the investigation into the shooting continues, leading to the Nashville NAACP’s call for more police accountability as well as a citizens review board. Outrage in the community after the shooting death of Clemmons prompted the Nashville NAACP chapter to call for the formation of the review board. “We want to see it be a strong board that has investigative powers, that has a budget. We just don’t believe that the police can police the police,” Sweet-Love said. At 12:55 p.m., on Friday, Feb. 10, Lippert approached Clemmons after a failure to observe a stop sign. Clemmons, driving a gray SUV, pulled into a parking lot on South Sixth Street in front of the James A. Cayce Homes parking lot. Lippert, driving in an unmarked police car, pulled into the parking lot driveway behind the SUV. Police said the uniformed patrol officer walked up to Clemmons, who was stepping out of his SUV, to talk to him about the traffic violation. Citing MDHA footage, Police initially said Clemmons body-checked officer Lippert but footage released by police on Tuesday shows Clemmons attempting to run past the officer and doubling back and running the other way with Lippert in pursuit. The new video was not available to police until Monday due to a broken Metro Development and Housing Agency computer server, police said. At one point, Clemmons had a gun in his hand and refused to drop it when Lippert told him to, police said. Lippert believed he was in danger and opened fire, police said. Clemmons was struck twice in the lower back and once in his left hip, police said. He later died in surgery. The entire incident lasted just over one minute. In a statement, police speculated that, since it’s illegal to carry a weapon after being convicted of a felony, Clemmons may have tried to run because he was on probation. According to The Tennessean, Clemmons had a “long criminal history” that dated back to 2003 and included more than a dozen misdemeanor traffic offenses. At the time of his death, he was on probation after receiving an eight-year sentence in 2014 for a drug conviction. Lippert has been with the Metropolitan Nashville Police Department for five years and has spent 20 days on suspension for various police-code violations, including two instances involving physical use of force. In October 2015, Lippert used physical force to pull a black motorist from the vehicle during a traffic stop, even though the driver said he’d be willing to get out in the presence of a supervisor. Lippert was also reprimanded for having the man’s car towed without giving him a chance to park the car or turn it over to someone else. Officials with the MNPD began their own investigation into the shooting of Clemmons, but News Channel 5 reports that nearly a week later, the district attorney’s office asked the Tennessee Bureau of Investigation to step in. Pastor Davie Tucker of Beech Creek Missionary Baptist Church has been at the forefront of the community outcry for an independent investigation. He said that members of the community are not satisfied with how the investigation is being handled, and that although TBI took over, Metro police never really stopped investigating. “I wish Chief Anderson would step aside and allow his Police Department to be investigated, and I wish the mayor would force him to do so,” Tucker said. Two weeks ago, Metro police and TBI announced that from now on, TBI would investigate all officer-involved shooting deaths in Nashville. The MNPD wrapped up its investigation into the Clemmons shooting two weeks ago, but the TBI investigation is ongoing. 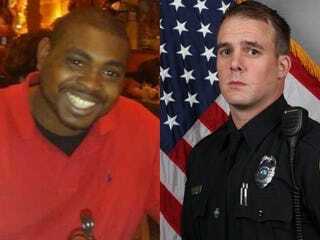 Two whole months after Clemmons was killed by a police officer, the investigation into his death is still going on. What does that tell us? Read more at News Channel 5.